This is an abstract millefiori slices fused pendant with a top hole ~14mm. 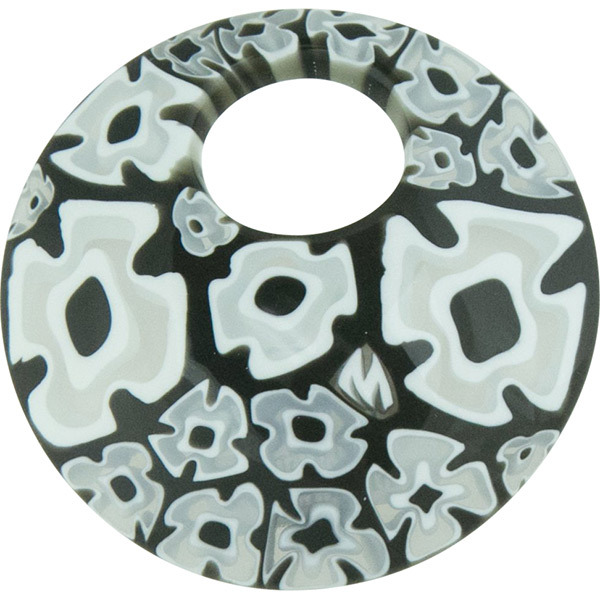 The abstract Murano Glass slices are in white, gray, black with clear glass surrounding some of the slices. They vary with no two ever being exactly alike. The pendant is approximately 48mm (slightly under one inch) and are slightly concave (curved).